Also coming soon from Big Finish: a prequel series in November that follows the Eighth Doctor’s (Paul McGann) attempts to remain aloof from the Time War. This is incredible news, because I think Hurt was simply amazing in “The Day of the Doctor,” and I’d love to see (well.. hear) more about this “warrior” version of the Doctor. In other DOCTOR WHO-related audio news, Big Finish previously announced a new series of UNIT adventures starring Kate Lethbridge-Stewart (Jemma Redgrave) and Osgood (Ingrid Oliver) as well as The Diary of River Song, starring Alex Kingston. Let’s hear it for Big Finish! 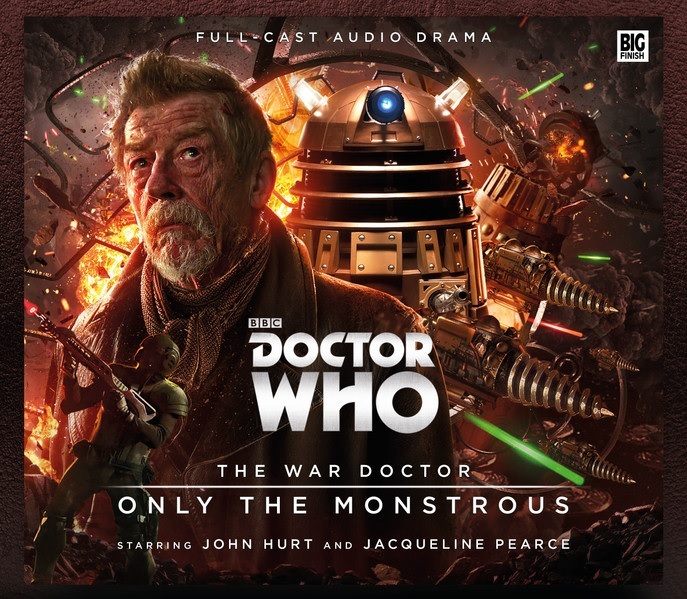 This entry was posted in Audio, Cult TV, Science Fiction, Spin-offs and tagged Big Finish Productions, Jacqueline Pearce, John Hurt, Only the Monstrous, War Doctor. Bookmark the permalink.